A story published in the Lubbock Avalanche-Journal Tuesday, September 19, 2006. A few years ago, Merinda Condra began surveying her blessings and saw in her possession a nice home, a good education and a prospering career - and knew it was something she wanted to share with a child. "I was raised to believe that what you are supposed to do is make the world a better place, and I think I had been looking for a way to do that for a very long time," she said in describing the new direction her life took when she decided to adopt a daughter from Russia. She saw her time spent in close association with politics - that time after graduating from Texas A&M University, but before graduating from the Texas Tech School of Law - as containing an aspect of futility. Though she doesn't say so, her explanation sounds like the contemplations of Solomon in the Bible's book of Ecclesiastes. "All these other ways seemed to be temporary: A law is passed; it is repealed. Somebody is elected; and they are un-elected. All these things seemed so temporary," she said. "It finally hit me: The way we make a true and lasting difference is through children." She added, "People say the end justifies the means, but no, it's the means, it's how we treat our children. It's giving them a home. It's giving them tools. It's giving them love. "Children who don't have what they need growing up are forever changed." After completing her law degree, she had joined a law practice with her father, Gary Condra, in Lubbock. The resources gained from a successful career as an attorney provided what it would take to adopt a child. "I did everything you are supposed to do on researching an agency: I contacted the Better Business Bureau; I contacted licensed agencies. And I started working with an agency in Michigan," she remembers. "I gave them an awful lot of money, put together all the paperwork - everything. And nothing happened. I kept thinking, this is so overwhelming for people, what's it like for somebody who is not a lawyer?" "So we started Adoption Covenant." She set up Adoption Covenant as a nonprofit entity and began filling out papers for would-be adoptive parents. The agency now places children from Russia, the Ukraine, Kazakstan, China and West Texas. Adoption Covenant also provides counseling and support to women facing unplanned pregnancy in West Texas. It has adopted as its mission statement, "Unconditional love, unselfish acts, and the promise of a new day." In Condra's personal experience with adoption, she found that her money remained irretrievably in Michigan. Then she began focusing her attention like a laser beam on Adoption Covenant. "Finally I thought, maybe God means for me to go through Adoption Covenant. So I put my name on our list, and not very long after that I got a picture of Emma." The emotional impact from seeing the image of Emma was seismic: "I just saw her face and started crying, and said, 'That's my daughter.' "
"The thing about adoption is that when you decide to adopt, you know your child is out there, and you are just desperately trying to find them. It's not something that happens on paper. It's something that happens in your heart." After seeing the picture of Emma at 2 months old, it was another three months before Condra was able to visit the baby at an orphanage in Russia. The meeting was all that could have been hoped for. "There were people all over Lubbock and the state of Texas who were praying for her," Condra said. "When I got to the orphanage, she just wanted me to hold her. I believe that is the result of a lot of prayer. She just wanted me to hold her and rock her and cuddle her." By the time Condra was able to finally bring her daughter to Lubbock, Emma was nearing her first birthday. The trip home wasn't entirely a smooth flight, even though a friend had come to Moscow to accompany them. Anytime you are traveling with a little one it's an adventure, but I was carrying so much stuff," Condra said. Her friend needed to leave them at Dallas, and when they arrived in Lubbock, it was 10:30 p.m. and they were alone. Condra remembers seeing the airport turnstile at a distance. "I knew if I could just get there, my family would be there. I got on the other side, and my family was there, and friends, and people who just came to welcome us." Emphasizing the spiritual aspect of the transformation for her, she said, "God has done all of this." Other Lubbock residents also are handling adoptions through Adoption Covenant, according to Condra. Among them is Kristi Rowland. "I adopted a little girl from Guatemala," Rowland said. "She is 22 months old now, and I got her from Guatemala at 18 months. "It was a wonderful experience. She has just made incredible progress since we got her home." According to Rowland, her daughter, Alayna Grace, had lived in the same foster home since she was a newborn. "I got to meet the foster mom and visit with her informally. She had been given good care." 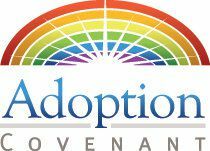 Because it is a nonprofit, Adoption Covenant is attempting to raise a $100,000 reserve that is required of adoption agencies by the U.S. Citizenship and Immigration Service. Adoption Covenant is raffling a new Toyota 4 Runner by selling 1,300 tickets at $100 each. Additional information is available by contacting Adoption Covenant at 741-0268, or the Web site www.adoptioncovenant.com. Gary Condra, who is Emma's grandfather, said it has been a learning process for the adults as well as the children in the adoption process. "Merinda just blossoms whenever she talks about that topic, or is working on it," he said. "She has a real passion for it. I think that passion has grown a great deal as she's had the opportunity, and as we have had the opportunity, to see how little Emma has blossomed." He added, "When I look at that little girl, I just couldn't believe this program could have provided that kind of blessing for the people who are participating and trying to help the children. It's hard to tell who gets helped the most out of this." He notes that children who come from an adoptive background intuitively recognize the value of family. "Emma is very conscious of who her cousins are, who her uncle and aunt are, and who her grandparents are," Gary said. "She came from a situation where she didn't have that family. It means a lot to her, and it means a lot to them." Merinda said that in the Russian orphanage, Emma was in a group of 20 children under the age of 1 with four caregivers for the group. "And she came home to be one with a mom, a nanna, a pop and uncles and aunts - and love," Merinda said. "All these people are just dying to love on her. Even if I were to get hit by a truck tomorrow, she has a family." Merinda is preparing for a birthday party for Emma, who will be 3 on Monday, and is regularly receiving suggestions from Emma about what she would like. "She wants chocolate cake with strawberry icing on it, and she wants all of her friends and family to come. She keeps inviting people, even strangers, to her party." Looking at her daughter, she said, "I will be poor until it is time to send her to college, and then I will be poor again. But nothing could be better than being her mother." Merinda considers Emma a miracle. "She is the very best thing I will ever do with my life." International adoptionn Start your research - adoption must be handled by a licensed child-placing agency. Apply for approval to adopt from the United States Citizenship and Immigration Service (formerly Immigration and Naturalization Service). Prepare a dossier - The paperwork required by foreign governments. Make one or two trips overseas, depending on the country, to bring home the child in conjunction with the overseas process. Process through the U.S. Embassy in the foreign country. Depending on the country, finalize the adoption in the U.S.
Russian orphans: Officially there are 700,000 orphans living in 2,000 state-run orphanages, but more than four million children are considered orphans or homeless. Worldwide: At the end of 2003, there were an estimated 143 million orphans under the age of 18 in 93 developing countries, and more than 16 million children were orphaned in 2003 alone, according to the Unicef Report, "The State of the World's Children 2006." Fundraiser for nonprofit Adoption Covenant: Raffle of new Toyota 4 Runner, provided by Gene Messer Toyota; 1,300 tickets will be sold for $100 each, with drawing Sept. 30. 741-0268.